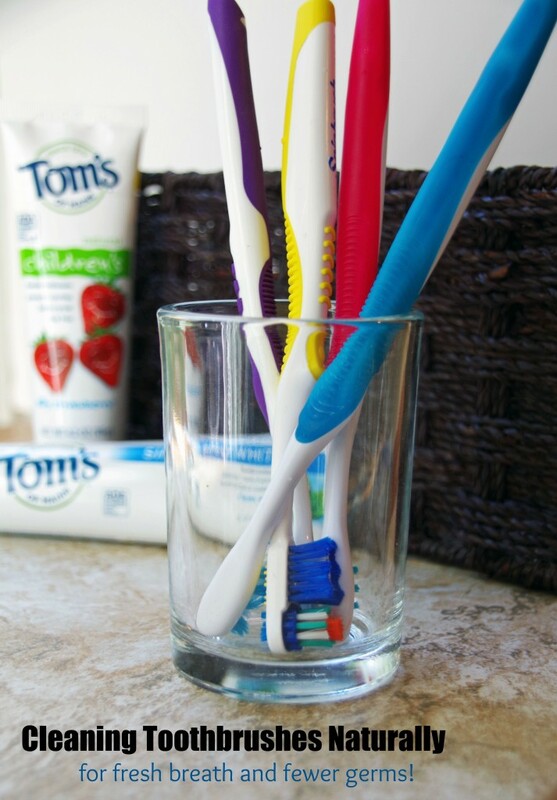 Cleaning Toothbrushes Naturally for Fresh Breath and Fewer Germs! You are here: Home / Health / Cleaning Toothbrushes Naturally for Fresh Breath and Fewer Germs! 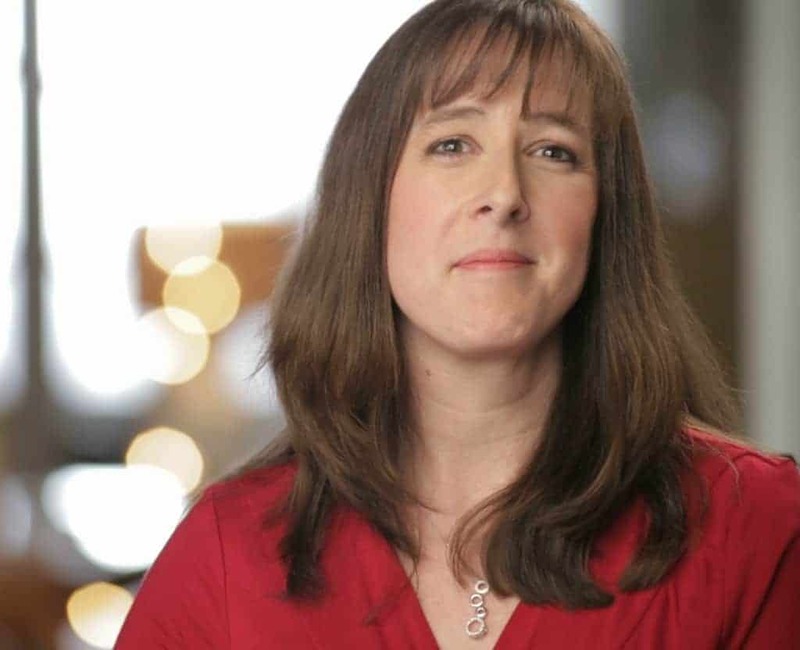 Have you ever heard of Staphylococcus aureus? Do you know what Streptococcus pneumoniae is? Did you know that these are just two of the millions of bacteria that live in your mouth? Everyone’s mouth, no matter how often you brush, rinse or floss, harbors millions of bacteria in it. Most of them are fairly harmless and studies have not shown any negative consequences to our overly populated oral cavities. But, what about when you get sick? And the bacteria in your mouth are maybe not so ‘normal’? Cleaning toothbrushes on a regular basis can help prevent reinfection after you catch a cold, get a sinus infection or suffer from some other nasty illness. If natural oral health is important to you, keep reading to learn how to start cleaning toothbrushes without chemicals or fancy technology. Then invest in a few Tom’s of Maine natural toothpaste products to keep your teeth clean and bright. And repurpose old toothbrushes one they are starting to look a bit used! I must admit, I am a rather cautious shopper. I read labels and worry about the things I bring home to my kids. They may not care about such things, but *I* do! I have been using Tom’s of Maine products regularly over the last few years and have always been very happy with them. 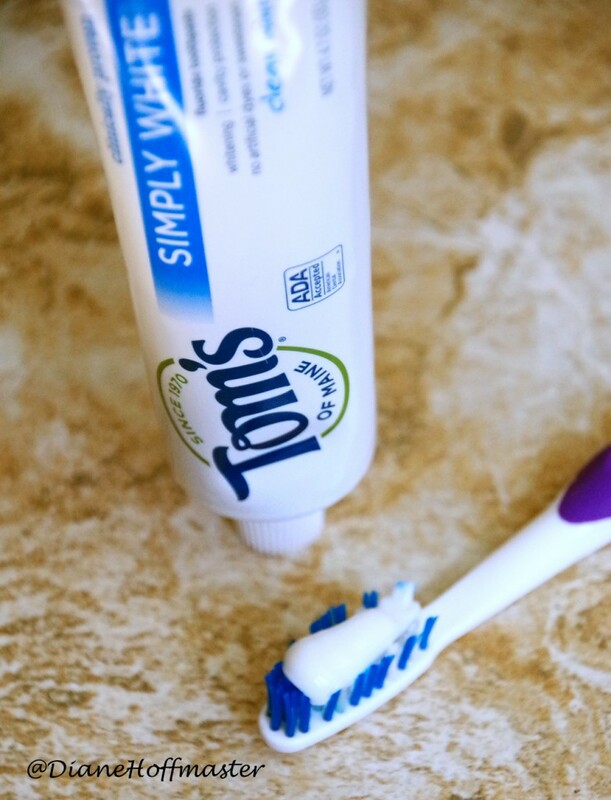 On my recent trip to Walmart I picked up Tom’s of Maine® Simply White® Clean Mint Cavity Protection Toothpaste for my son and I. I also grabbed Tom’s of Maine® Silly Strawberry® Anticavity Toothpaste for my daughter. Even though she is 13 she HATES mint toothpaste so I am glad Tom’s of Maine offers the strawberry variety which she really loves! Tom’s of Maine® oral hygiene products do not contain artificial colors, flavors, fragrances, preservatives, or any animal ingredients. They also undergo NO animal testing. Tom’s of Maine also offers other natural products like Deodorant, Bar Soap and Mouthwash. All Tom’s of Maine products are made right in Maine so you can rest assured you are supporting a made in the USA product. You can learn more about their ingredients, including its purpose and source, by visiting www.tomsofmaine.com. Cleaning toothbrushes naturally is easy! So, how do you clean a toothbrush after you are sick? You COULD go out and invest in expensive ultraviolet toothbrush cleaners, but I am far too frugal to spend that kind of money. I also have NO space for a toothbrush sanitizer on my bathroom counter! I could throw away my toothbrush after I’ve been sick but that is fairly wasteful. Cleaning toothbrushes regularly is a natural and frugal way to keep your mouth healthy. Cleaning your toothbrush is incredibly easy and you probably have all the ingredients right in your pantry. In fact, all you need is vinegar and baking soda! One of the things I love most about Tom’s of Maine is their commitment to the environment. 10% of their profits are donated to human and environmental causes so you can rest assured that your purchase is serving a greater good. They promote organically grown materials whenever possible and practical. Their manufacturing process as well as their packaging are both sustainable, which is very important to me. Watch the video below for more information about Tom’s of Maine and their commitment to the environment. Try Tom’s of Maine for yourself! Want to learn more about Tom’s of Maine and get a few samples and coupons? There will be several roaming demos happening on September 19th in select Neighborhood Walmart locations. These demos will feature select Tom’s products and they will be handing out samples and coupons. Want to find a location near you? Check out the Tom’s of Maine Demo spreadsheet for locations near you. 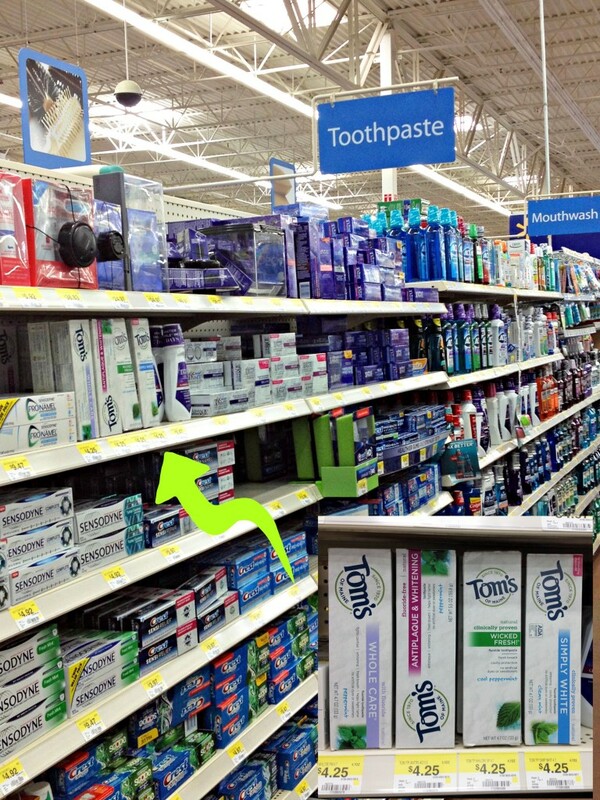 If you are looking for Tom’s of Maine oral care products at Walmart, you will find them with all the other toothpastes, dental floss and mouthwashes in the oral care isle! Keep your toothbrush bristles side UP in a cup or toothbrush holder so that is dries quickly and stays dry. Store your toothbrush at least a few feet away from your toilet and make sure to put the lid down before you flush. This will help prevent air born bacteria landing on your toothbrush. Replace your toothbrush every few months. Don’t throw it out! Check out these 10 ways to reuse old toothbrushes! For more information about Tom’s of Maine products you can check them out on Facebook, Twitter or Instagram. Will YOU be cleaning toothbrushes this winter? Explore Tom’s of Maine for more #NaturalGoodness inspiration! Thank you for sharing this idea. I just caught the first cold of BAck to School cold season and definitely need to stay on top of germs! Your idea about the toilet seat is an important one too. Luckily our master toilet is in it's own room, but it's no in the kids bathroom. I've been doing something similar for years. I'm a dentist, so I'm acutely aware of all the disgusting critters that live in our toothbrushes. 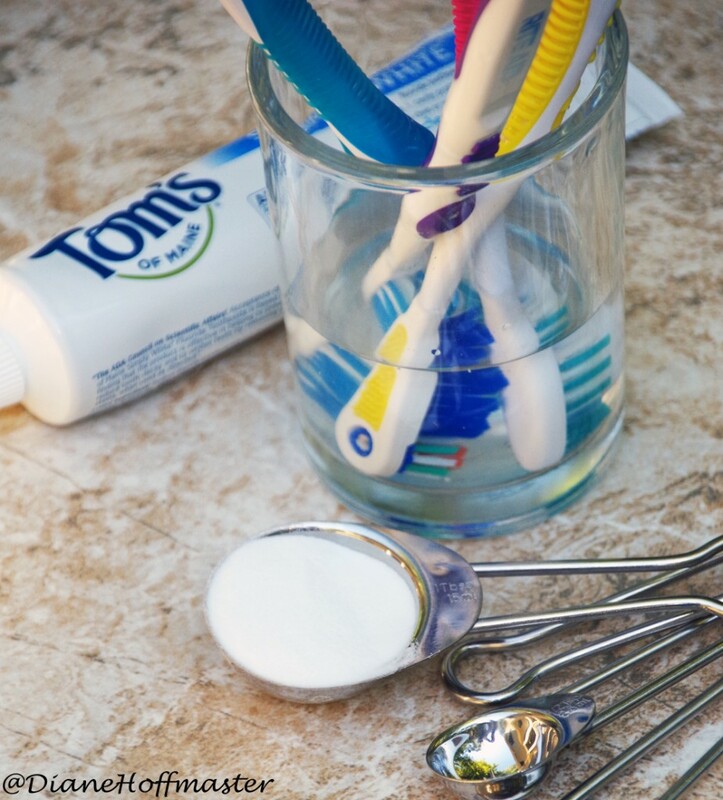 We used Tom's toothpaste in our home and have for quite some time. I love what's NOT in their toothpaste. My son goes "silly" over the strawberry one. Thanks for the easy way to clean toothbrushes..a lot better than buying new ones all the time. We use Tom's Antiperspirant but will have to try the toothpaste too, I bet our kids would like the strawberry. There are definitely some nasty things on toothbrushes that need to get cleaned off occasionally!